Eco friendly set of (12) recycled pumpkin bucket (on skateboard!) 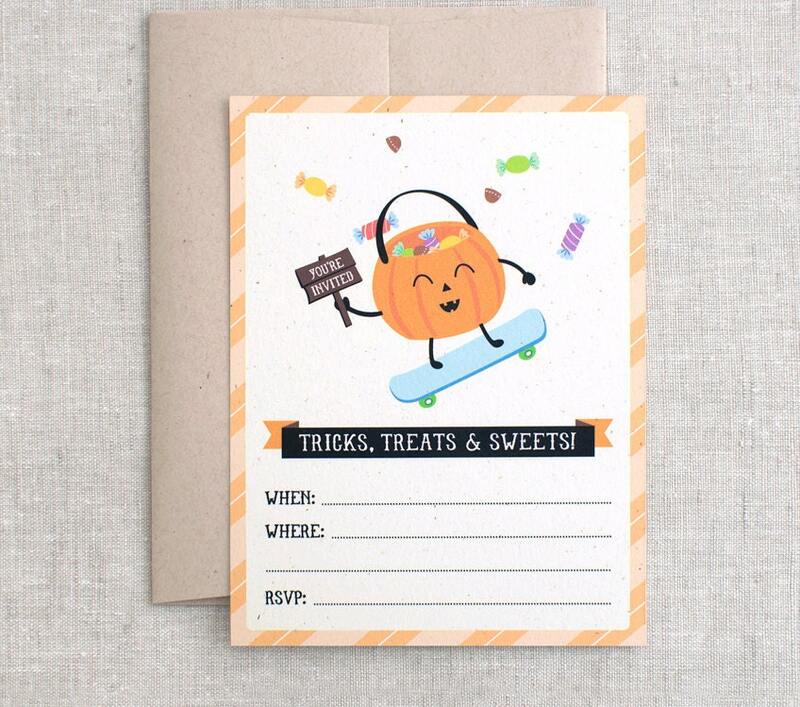 Halloween Invitations featuring an easy peasy Fill-In format with lots of space for all your festive details! A unique and fun way to celebrate Halloween & fun birthday and Autumn gatherings.